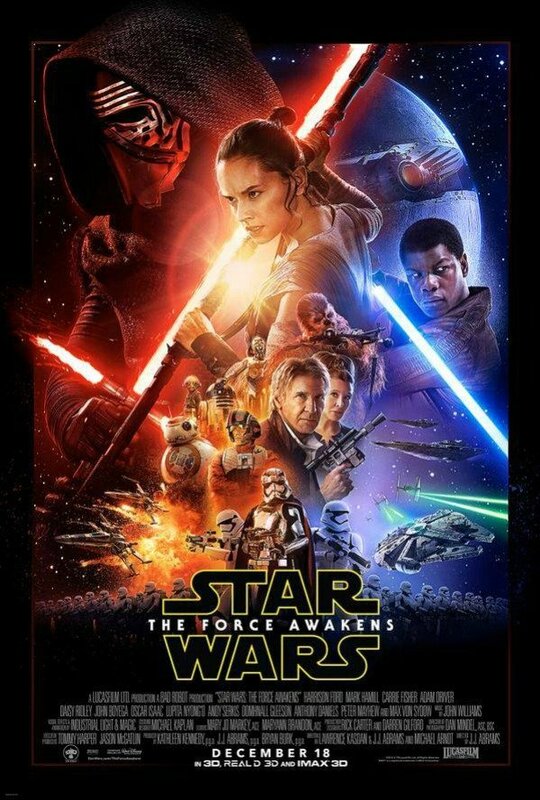 You might have noticed, but there’s a brand new Star Wars film coming out in just a couple of months. You’ve probably overheard every single person with even a passing interest in cinema constantly talking about it. 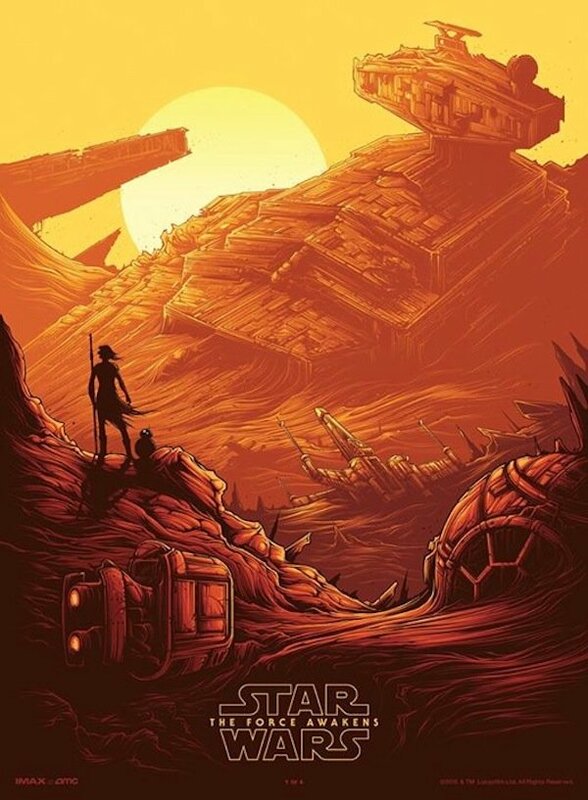 The fact that the third trailer for Star Wars: The Force Awakens premiered last night means that the promotional push for the blockbuster is now truly underway, which is why the good folks over at AMC have revealed that they're offering the chance for fans to get theirs hands on a series of exclusive new posters. Don’t forget to come back each week for Star Wars Sundays in IMAX at AMC. Each Sunday, from December 20 to January 10, guests who purchase a ticket to see Star Wars: The Force Awakens in IMAX 3D will receive an AMC-exclusive St Wars print from artist Dan Mumford. A new poster will be revealed each week. We all probably know at least half a dozen deranged (I mean that only as a positive) Star Wars nuts who will be racing to AMC cinemas each and every Sunday to get their hands on these limited edition posters. And, if it’s anything like the recent new poster for Star Wars: The Force Awakens, which caused quite a hubbub when it was released over the weekend due to the fact that it didn’t actually feature Luke Skywalker, then it will certainly be worth possessing. In fact, let’s take a moment to marvel over that poster in all of its glory again below. AMC has kicked their Star Wars promotional campaign into action ever since the latest trailer for The Force Awakens was released. They’re heavily promoting their Star Wars Marathon event, which will start approximately 24 hours before The Force Awakens is released and allow die-hard fans to watch all seven movies in close proximity, concluding with the latest edition. While it’s obviously been a rather heavy 24 hours for Star Wars news, this is just going to be the tip of the iceberg. Because you can expect new information regarding Star Wars: The Force Awakens to be released by the bucket load all the way up until it is finally in cinemas on December 18, 2015.